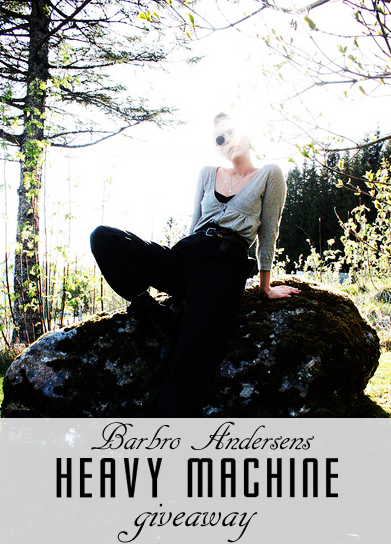 Barbro Andersen: Giveaway: Heavy Machine! If you haven't heard of Heavy Machine before, this wonder-label was established in 2009 to fulfill the dream of a generation of trendsetting and edgy women who demand a deeper sense of empowerment. Their distinctive looks for the modern woman allow her to make a statement with each step that she takes. Inspired by industrial machine structures and heavy, strong lines, these color blocks are designed to give each woman the pleasure of being standout beautiful, yet uniquely feminine. Heavy Machine’s creative team is Michelle Wu and Yoyo Pan, which successfully have redefined female footwear, and I just adore their architectural creations! My current favorites are Neon Heart (grey), Tiny Eyes, Schizophrenic Crossover and Neon Heart (pink). I think these shoes are freakin fantastic, and I would love to have such a statement in my closet. Susie from Style Bubble has also fallen in love with these wonders, and here she is styling around Paris in a pair of Tadao's Malachites. To enter this giveaway, all you have to do is visit Heavy Machine and tell me which pair is your favorite! 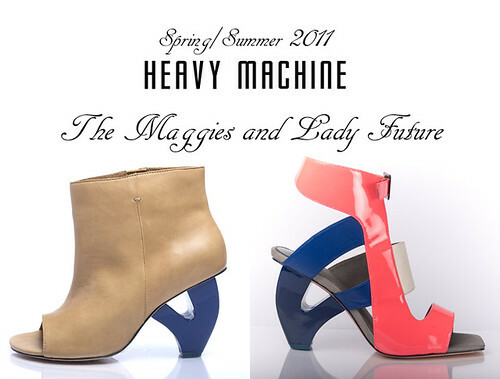 Leave the link in a comment on this entry to compete - and if you win; Heavy Machine will send you a FREE pair of either the Maggies or Lady Future from next Spring's 2011 collection - in your size of course! How awesome is that? I told you guys that you were in for some treats this fall, and man am I jealous of this one! So, what are you waiting for?! Remember to leave your e-mail, if you don't have a blog, so that I know how to contact you if you win. The winner will be announced Monday the 11th of October and will selected at random. Only one entry per person, please. <3 I just got myself a new place to look at when I dream of shoes! Wow how cool is that!? I love your blog and ofcourse I love this giveaway! My favorite Heavy Machine shoes are the Neon Heart (Pink), they are delicious! I love the Robot'S fin. Schizophrenic Crossovers are my favorite..love the color combination and double straps. Oh my dear how innovative and unique! Loving it! Thank you for doing this giveaway this is super. I quess I'm a Nostalgic Chick! But those Lady Future are so amazing, the shape is just mindblowing! My fav's are "Nostalgic Chick"! So classical, yet SOOOO epic! I think the Tiny Eyes http://www.heavymachinedesign.com/products/tiny-eyes is my favourite -- love the ultra-modern architectural updates on a classic t-strap pump and the combination of black with such a saturated navy! Tiny Eyes is by far my favorite look! nice blog! :D & oooooh what amazing shoe designs by Heavy Machine!! it was hard to decide but my favorite is the Neon Heart (Grey)! So awesome! Wow!Almost too beautiful to choose! I do really love Tadao's malachites. Thanks! incredible, incredible! what amazing shoes. my very favorite, having to pick just one pair is: Devil's Kiss (http://www.heavymachinedesign.com/products/devils-kiss) and I want to win! this ones! I love blue, I need a pair of pumps. Been honest, I didn't know about this brand, I love it. I like the design, the colors, and they look just so awesome!! Barbro, this is amazing. Congratulations! and THANKS!! Wow those are all such great looking shoes! It was hard to decide, but I guess my favorites are the tiny eyes. Sto lenge mellom to par, men.. I don't have only one favorite, but I must say Tiny eyes, are simple yet gorgeous. What an amazingly awesome contest! (and so fair with one entry only thank god, i'm sick of the twitter advantage). Neon heart (grey)... hands down, my favorite! Wow! I love the Tiny Eyes shoe! There's something about the sculpted architecture in the Tadao's Malachite that is just exquisite. Its combination of suede and lambskin beneath a decorative buckle is unmatched. Luxe leather and a lacquered add a couture shoe feel. And the green adds a playful statement of whimsy that I just adore. actually i love everything in the collection ! lol but my faves goes to the bisexual lip and nostalgic chick ! i hope i win this giveaway ! http://www.heavymachinedesign.com/products/nostalgic-chick It stood between these and Devil's Kiss, but these were more stunning. Love the idea and love the shoes! Would have been awesome winning a pair. My favorites are the Calamari! I love the curvy heel! PS: Why don't you have somewhere we kan write our email so the whole world don't see it? ..
Ohmygod! I never seen shoes like this before, they're awesome! My favorite is "Tiny Eyes", it's pretty and cool at the same time! WOWWW!! Such unique-looking shoes!! I love all of them and my most favourite ones are the "Schizophrenic Crossover (Green)". i'm dying for this one! Could almost not decide between them and Tadao's Malachite. I just love the " Tadaos-malachite". what i would do to win a pair of these shoes.. ;) so dope. i particularly like "devil's kiss." These wonders are my fav! definitely the robot's fin is my favourite! still was close call with the neon heart! prefer the Lady Future to the Maggies but they're both so beautiful! I really adore Schizophrenic Crossover (Blue)! 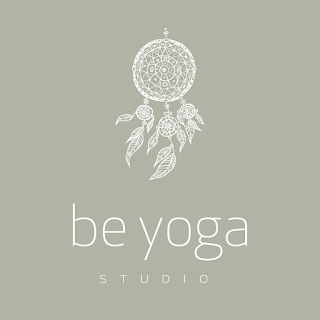 Just popped over via Some Kind of Style - enjoyed reading about your experience and am looking forward to keeping up with you here! These shoes are fantastic - I love the neon heart style in grey. Fingers crossed! Wow! The Blue Retro Story is my fav. WOW...I'm a male specimen, but I simply LOVE NOSTALGIC CHICK so much!!! I would give the pair to my special one! Tiny Eyes, black! So amazing! Classic w/ a twist! I like the Underground Cloud (Black). I love the underground cloud shoes in white. These are SO AWESOME! Thank you for the opportunity! I love the Schizophrenic Crossover (Green). They are so cool! My absolute favorite pair is definitely the Robot's Fin (http://www.heavymachinedesign.com/products/robots-fin). For one, the colors are fabulous, and I have a major obsession with heels of all shapes and sizes! These Heavy Machine heels are all to die for! I love this pair! What an amazing prize. So amazing! I love the styles in their collection. The "Devil's Kiss" are my favorites. These shoes are crazy, but really cool! I LOVE the Neon Heart Pink shoes! All of their shoes are incredible and so original! If I have to pick one itd have to be the schizophrenic crossover in green!! Min fine, barnslige mail er miss_soffa@hotmail.com. My faves are the retro story in yellow! Wow!! Amazng Giveaway! I love these shoes....so unique! I love the Schizophrenic Crossover in Blue. So cute! Omg, love these shoes! I would like the Tiny Eyes! the neon heart in gray! i love the nostsalgic chick so much. they are so stunning. i would feel like such a lil minnie mouse back to the future diva with those shoes. but i would absolutely love to win the Maggies-they are sooo fun. I can't wait to see the rest of the 2011 line. LOVE the "Neon Heart" in grey! Perfection! I love the Devil's Kiss and the Maggies. Oh, WOW. I ADORE Tadao's Malachite. And I'd be rocking the world with the Maggie! I loved these babies so much, I bought myself a pair. I highly reccomend wearing HM shoes. I love love LOVE Tiny Eyes. :) The color scheme is right up my alley. Loving retro story or devils kiss, both are major cute and so wearable!! these, cos my girlfriend would love them and it would make the perfect suprise! My favourite is the nostalgic chick. WOW. I'm pretty sure these are the COOLEST shoes I have ever seen! They are pretty out of my budget tho at this point, so I shall admire them from afar... unless I WIN! lol. cuz how can you choose just one fav? My absolute favorite pair was the Schizophrenic Crossover in green. Those were, by far, some of the most amazing shoes I have ever seen. With a little luck, maybe I'll have a chance to rock a pair of Heavy Machine's awesome shoes around town! What an incredible giveaway! This really is the best! The pair that really stands out to me is the plastic star pair with the yellow calf skin leather. These shoes are rockin'! I'm so glad you brought this brand to my attention. I'd never even heard of them before. Wow! They have cute unique designs, I'm loving it! My favorite are the Tadao's Malachite shoes. So cute!